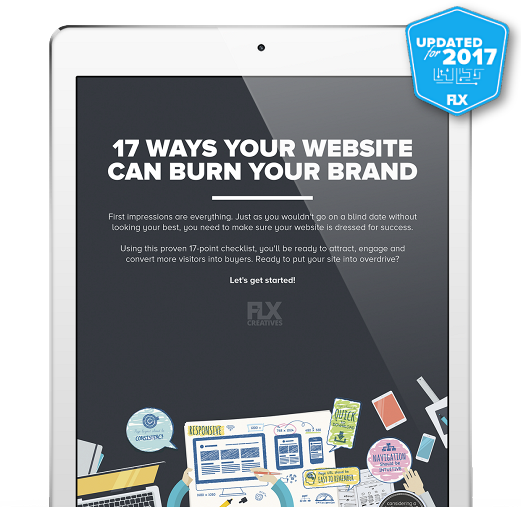 Design, coding, marketing, troubleshooting…when you need it. Wish you had a professional team on call? Now you do! Websites evolve. Seasons change. Offers rotate. Wouldn’t it be nice to deliver a consistent look throughout all of this any time you needed new creatives? Clients appreciate being able to turn to us whenever needs arise. Whether you want to develop a new marketing promotion, need a suite of promotional graphics, want support with a misbehaving your website, or need general consulting, we’ll be on-call. 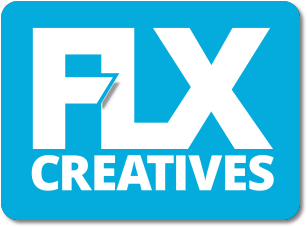 Through the FLX Creatives Club, you are essentially reserving a creative professional’s time so you don’t have to worry about who else is “in queue” ahead of you. When you need graphics or marketing materials designed, you’ll get priority, and we’ll get right to work. Not only is this more efficient for you, it’s more efficient for us, and that’s why we’re able to provide as much as a 25% discount when compared to standard design rates. When a need arises, simply reach out, and we’ll tell you exactly how long each request will take before we do it. Best of all, your graphic and marketing designs will stay consistent. No more fighting to maintain the same look when you bring multiple designers into the fold. We’ll make sure your brand is accentuated throughout the process so there is no disconnect from one graphic to another. Get full access to a professional designer without the overhead. Enjoy big savings compared to standard freelance rates. Simplify accounting with fixed costs and only one invoice. Use the time for any design, website, marketing, or technical needs. Benefit from a wide range of graphic design options and products. Boost your brand by maintaining a consistent look throughout. Receive post-task reports that show you how much time remains. Get priority replies, even on weekends. Get access to all this and more! Stock photography, royalty-free images, and printing costs are exclusive. 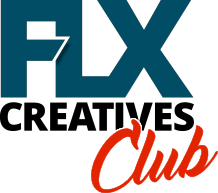 The FLX Creatives Club is a great way to have a professional designer on-call whenever needs arise. Print, media, digital…it’s all available when you need it. 1. Complete the form and we’ll set up an initial consultation so I can learn more about your business and typical graphic needs. If we haven’t worked together before, we’ll need to start with your brand’s colors, vibe, and mission so that everything we do is consistent. 2. Once booked, you’ll be given an exclusive email address to use for requests. When a request is received, we’ll acknowledge receipt, clarify any questions, and provide a rough time estimate for the task. 3. When tasks are completed, we’ll provide a report showing where time was spent and how much time remains. 4. When your timeblock is exhausted, you can either re-up or switch to our standard rate ($80/hour with 15-minute minimums). There are no minimums associated with timeblock-funded tasks. 5. Because we remain on-call and reserve time each month for Club members, unused time does expire. For the 5-hour block, time must be used within 30 days of purchase; for the 10-hour block, time must be used within 60 days of purchase; and for the 20-hour block, time must be used within 90 days of purchase.